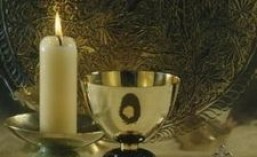 The Lenten Ember Days are soon upon us. The Lenten Ember Days comprise the Wednesday, Friday, and Saturday of the week following the first Sunday in Lent. This year that is this coming Wednesday, Friday, and Saturday (2/20, 21, and 23). Oh, want to know more about Ember Days? Ut sit in angaria quarta sequens feria. are when the quarter holidays follow. V. God shall give His angels charge over thee. R. To keep thee in all thy ways. An evil and adulterous generation seeketh after a sign: and there shall no sign be given to it, but the sign of the prophet Jonas. For as Jonas was three days and nights in the whale’s belly, so shall the Son of Man be in the earth. An angel of the Lord went down from heaven and troubled the waters; and whosoever did step therein was made whole. He that me whole, the same said unto me: Take up thy bed and go in peace. And Jesus taketh his disciples, and bringeth them up into an high mountain apart: and was transfigured before them. Tell the vision which ye have seen to no man: until the Son of Man be risen again from the dead. Want to know more about Ember Days? Check out What are Ember Days? 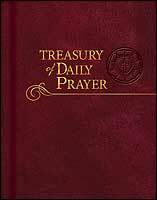 This entry was posted in Devotion, lutheran, Treasury of Daily Prayer and tagged devotions, Ember Days, fast, Lent, prayer, TDP, Treasury of Daily Prayer. Bookmark the permalink.